Even if you only know the other woman in Fleetwood Mac as Not Stevie Nicks, you've gotta admit that the latest news for the band is pretty exciting. Christine McVie has rejoined Fleetwood Mac after leaving the group fifteen years ago. In an interview that aired on the Today show Tuesday, McVie was joined by her band mates and explained her decision to reunite. It had been stated by Fleetwood Mac's publicist in January that McVie was rejoining, but this interview marked the first time she spoke about it publicly herself. When host Carson Daly asked McVie if she could confirm once and for all that she was back, McVie responded, "I think that can be said with a definite capital 'Yes.'" McVie most recently played with the band for "Don't Stop" during two shows last fall in London. 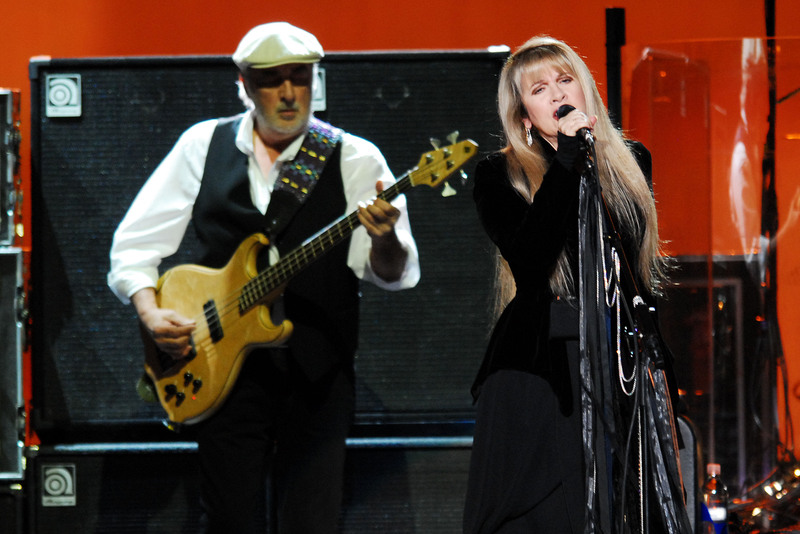 This was the first time McVie took to the stage with Fleetwood Mac since leaving in 1998. She calls walking out on the stage "sensational." Her bandmates felt similarly. Ex-husband John McVie said, "I had to get the Kleenex out" and Mick Fleetwood added, "All of us were very moved." Also during the interview, McVie admitted that the reason she quit in the first place was because of her fear of airplanes. "I had a fear of flying. I hadn't flown for 15 years." Either McVie has gotten over her fear or she's found a new way to travel because Fleetwood Mac has also announced a new tour. The "On with the Show Tour" will take the band to 33 cities and kickoff on Sept. 30.